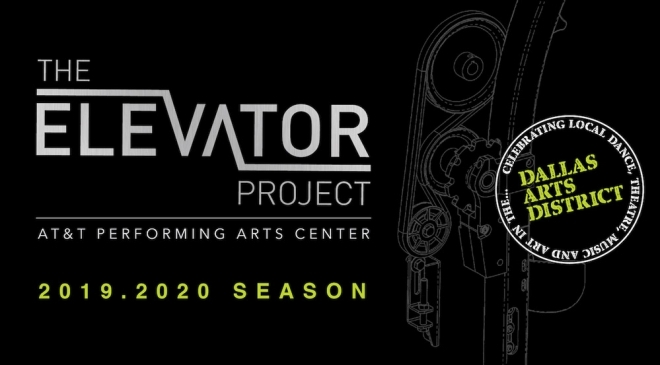 The nonprofit AT&T Performing Arts Center announced that submissions for the Elevator Project 2019/2020 season will be accepted beginning Wednesday, January 2, 2019 through Thursday, January 31, 2019. The Elevator Project is a program that presents small, emerging and/or culturally specific Dallas-based arts groups and artists in performance space on the Center’s campus in the Dallas Arts District. Through the Elevator Project, the Center pays performers a negotiated fee to present their work. The current 2018/2019 season of eight shows includes Iv Amenti, Cry Havoc Theater Company, Dark Circles Contemporary Dance, The Flame Foundation, GiANT Entertainment, Indique Dance Company, Teatro Flor Candela and Scott Zenreich. Most works are performed in Hamon Hall, a flexible performance space in the Winspear Opera House, or the Studio Theatre, a black box space on the sixth floor of the Wyly Theatre. However, artists are encouraged to consider creating work for other spaces on the Center’s campus such as Sammons Park, the donor reflecting pool, Sammons Community Stage, spaces within Strauss Square, the Brierley Esplanade in front of the Wyly Theatre and more. Center support includes venue management, operations, ticketing and promotion. Each annual season is now curated through a multi-level review and approval process that includes panels of arts professionals, educators, advocates, the Center and the City of Dallas Office of Cultural Affairs. Participating artists and organizations must be based in the city of Dallas. January 2 – 31, 2019: Applications will be accepted at attpac.org/elevatorprojectapply. o	For new, original and experimental work. o	For works unique to the performance space. o	For works designed to engage diverse audiences and geographic communities. o	From artists and groups without an official performance venue or home. Submissions will first be reviewed by the Elevator Project Advisory Panel, a group of five panelists jointly chosen by the Center and the Office of Cultural Affairs. o	These panelists may include arts professionals from Dallas or other cities, arts educators and advocates. o	The names of the panelists will remain confidential until the selections are announced. o	No artist/group with a submission, or with an immediate family member or partner with a submission, can participate on the Advisory Panel.